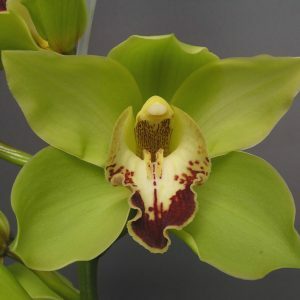 Kiwi orchids New Zealand Limited is one of New Zealand’s largest Cymbidium Orchid growers and exporters. Established in the late 1970s primarily to supply orchid stems to the highly demanding Japanese markets, we soon found a shortage of cymbidium orchid varieties that would produce sufficient stems, of the highest quality, over a range of bright colours. So, in the 1980s we began our own breeding programme in conjunction with selecting seedings from other recognised breeders. 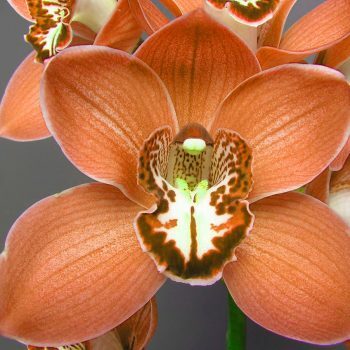 Today we at Kiwi Orchids are proud of our selected stock and our new cymbidium orchid varieties, and are equally proud of the high reputation our varieties earn for us in a highly demanding and ever-changing cut flower cymbidium orchid market. Now we offer our latest varieties to the world. 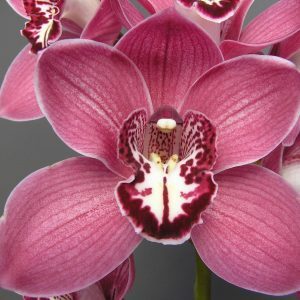 Kiwi orchids New Zealand Limited is one of New Zealand's largest Cymbidium Orchid growers and exporters. Established in the late 1970s primarily to supply orchid stems to the highly demanding Japanese markets. Kiwi Orchids has a range of new varieties for 2017. We will be spending a little time through the year providing some seasonal updates and market information of interest to our clients and dealers. We are delighted to reveal our new website. We’ve rebuilt the whole site to be adaptive and responsive with latest images of all of our Orchid varieties.